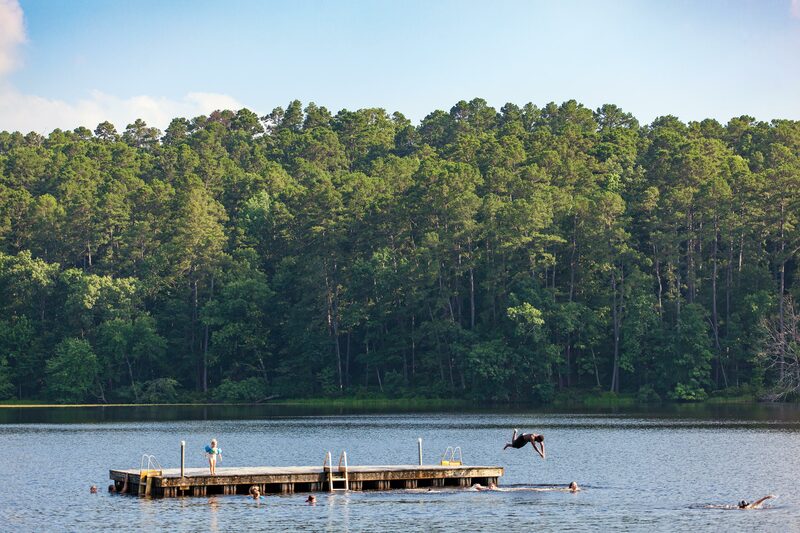 Summer fun awaits at Daingerfield State Park, located a couple of miles southeast of the city of Daingerfield in Northeast Texas. The 507-acre park offers plenty of classic summer diversions from camping to swimming, fishing, hiking, dancing, canoeing, kayaking, and pedal boating. The swimming platform—placed about 140 feet from the shore of the 80-acre lake—invites jumping, diving, and perfecting your cannonball. For more information, visit texasstateparks.org.